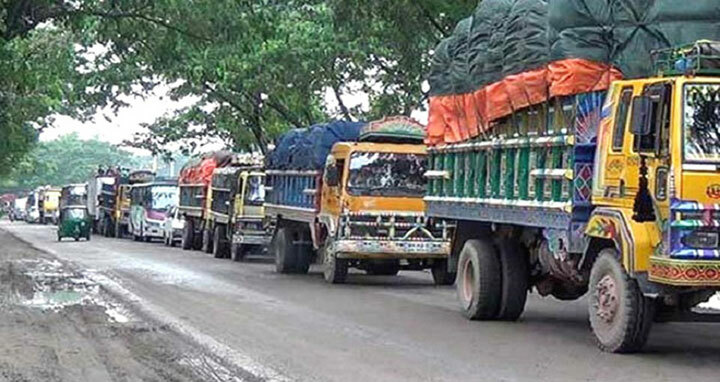 Dhaka, 31 Mar, Abnews: A 42-kilometre long tailback was created on Dhaka-Chittagong highway on Saturday due to heavy pressure of vehicles, causing immense sufferings to the commuters. Several hundred vehicles were stranded on both sides on the busy highway stretching from Madanpur of Narayanganj to Daudkandi upazila of Comilla. Abul Kalam Azad, Officer-in-charge of Daudlkandi Highway Police Station, said the tailback started on Thursday night and the situation did not improve till 10 am due to heavy pressures of vehicles. Police are trying to ease the traffic movement, said the OC.